Phishing and email spam are the biggest opportunities for hackers to enter the network. If a single user clicks on some malicious email attachment, it can compromise an entire enterprise with ransomware, cryptojacking scripts, data leakages, or privilege escalation exploits. Despite making some progress, a trio of email security protocols has seen a rocky road of deployment in the past year. 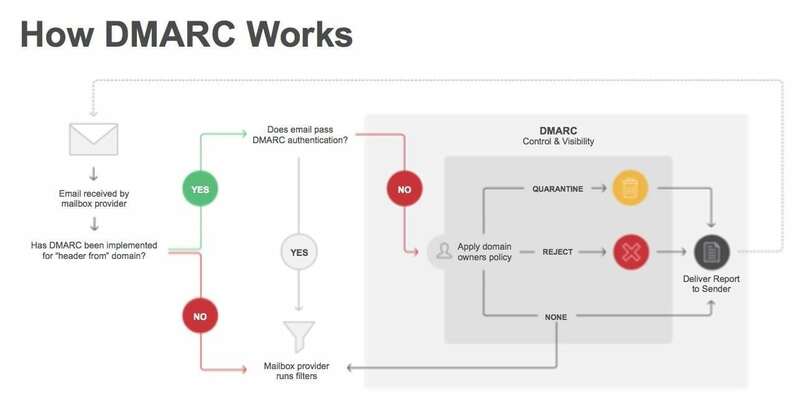 Going by their acronyms SPF, DKIM and DMARC, the three are difficult to configure and require careful study to understand how they inter-relate and complement each other with their protective features. The effort, however, is worth the investment in learning how to use them. In this story for CSO Online, I explain the trio and how to get them setup properly across your email infrastructure. Spoiler alert: it isn’t easy and it will take some time. The story has been updated and expanded since I first wrote about it earlier this year, to include some new surveys about the use of these protocols. This entry was posted in Email encryption, Published work, security by dstrom. Bookmark the permalink.